(CBS/WTRF/AP) - An inter-Amish squabble in eastern Ohio has led men and sometimes women in the religious group attack to fellow Amish, cutting off their hair and beards in an apparent feud over spiritual differences, a sheriff said Thursday. A group of families disavowed by mainstream Amish have, in recent weeks, cut the beards off men and the hair off a half-dozen or more men and women, Jefferson County Sheriff Fred Abdalla said. He said the acts apparently were meant to be degrading. No charges have been filed, but several victims suffered minor injuries, Abdalla said. 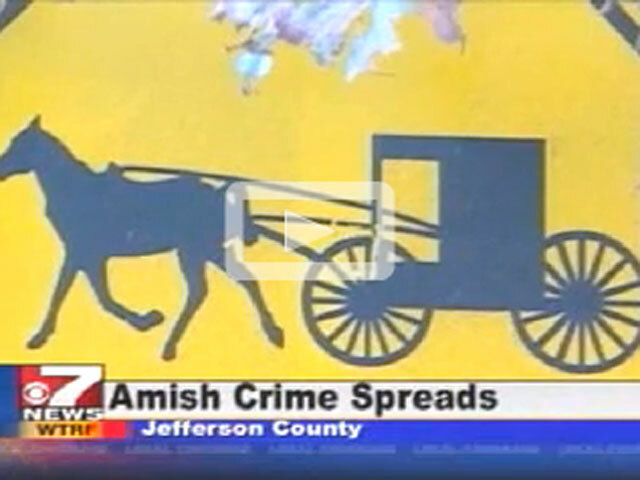 Twelve Amish people left Jefferson County and headed to Trumball County and forced their way into a home, six men and six women," said Jefferson County Sheriff Fred Abdalla, according to CBS affiliate WTRF. "The men knocked the man to the ground and cut his hair and beard and the women knocked the woman the ground and cut her hair off." Sheriff Abdalla said Amish families in three counties claim the so-called Bergholz clan burst into their homes cutting the beards and hair from women, men and even their children. The Sheriff calls these alleged crimes degrading. "As one Amishman told me, he would rather be dead than have his beard cut off," he said. A motive for the crime is still unclear. Under Amish tradition, men no longer cut their beards after they're married. Abdalla says yet another incident involved the clan arriving in horse trailers at Amish homes in Carroll and Holmes County. "There were five victims, men, women, a 13-yea-old girl thrown to the ground and had her hair cut and elderly 75-year-old woman thrown against the wall," Abdalla to WTRF. The incidents occurred over the past three weeks in the heart of Ohio's Amish population, one of the largest Amish communities in the United States. Abdalla said the motive may be related to unspecified religious differences involving 18 Amish families, 17 of them related, who have drawn previous attention from law enforcement, including a threat against the sheriff and a relative convicted of sexual contact with a minor. The Amish often shun modern conveniences as matter of spiritual principle. It's common practice for married Amish to have beards, Donald Kraybill, a professor at Elizabethtown College and an expert on Amish life, said in an email to The Associated Press. "Likewise, women do not cut their hair based on biblical teaching," he said. The investigation into the recent Ohio incidents has been hampered by the traditional reluctance of Amish to turn to law enforcement. "That's all well and good, but let us arrest 'em, and pray for 'em after they're in jail," said Sheriff Abdalla.